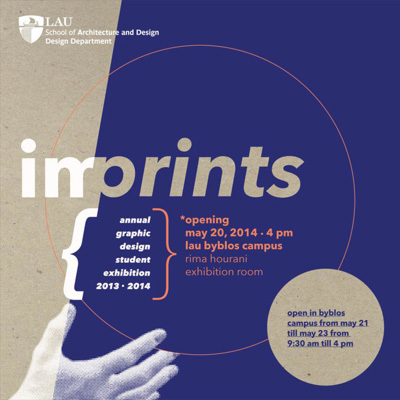 The Design Department is hosting “Imprints”, the annual graphic design student exhibition. The opening will be on Tuesday May 20 at 4 p.m. During the ceremony, the certificate of excellence in graphic design awards will be announced and the catalogues featuring the students work will be distributed for free. The exhibition will run from 9:30 a.m. to 4 p.m. from May 21-23.